Sal bought his first guitar at 16 (a fabulous imitation blonde Vox teardrop) for $32, and was promptly told by his mother that he would soon tire of it, sure to orphan the guitar to his closet within two weeks. A lifetime later, Sal still plays with the same passion and resolve of that young man who discovered he could escape into a world inside and outside of himself. 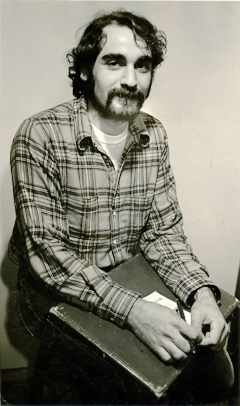 After learning to play and gig in rural Virginia clubs, where knowing how to dodge punches was as important as playing the best licks, he escaped to San Francisco and played on the streets, working many day jobs, including a stint as a cabinet skinner at Hamilton Audio-Sonics, a local electronics company that repaired amps for everyone from Santana to Elvin Bishop. 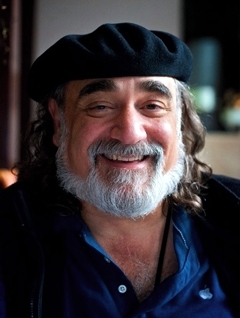 A blues-oriented musician from the beginning, Sal was introduced to Jazz by his brother Stephen and saxophonist John Handy's class at San Francisco State College, which he attended without the benefit of registration. His life was changed by this indoctrination. Inspired by a new appreciation of Jazz, Sal moved to Boston, where he enrolled in the Berklee College of Music. Having previously studied the Schillinger System with Edward Haines, he quickly adapted to the school's methodical approach, deciding to major in instrumental performance and improvisation. 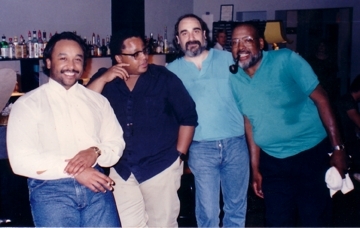 It was during those years at Berklee where Sal developed his "Freddie Green" chops, playing with local society and big bands, including the Winiker Family Bands and the notorious White Heat Swing Orchestra, whose repertoire was a trunk-full of original Fletcher Henderson/Jimmie Lunceford charts and a cooler of cheap beer hidden in a drum kit. After graduating from Berklee in 1979, Sal changed his focus to playing solo guitar and in duos, often accompanied by sax-man Dave Stringham, in the appropriately named duo “Stringham & Sal.” For years, they remained a nightly favorite at the Flower Garden Cafe in Faneuil Hall. Leaving the city, Sal migrated to Delaware Water Gap, an artsy town in the Pennsylvania mountains, populated by some of Jazz's finest cats including long-time music bud, Mo Rolland. 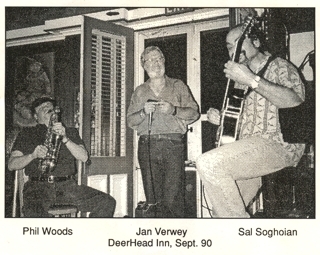 Moving into a room above the local roadhouse bar, Sal took a solo gig at the famous Deer Head Inn as the lead-in for piano master Johnny Coates, and soon found himself asked to perform in the Delaware Water Gap Jazz Festival. His initiation to the event was to play a set of solo guitar, scheduled immediately after a blistering performance by Phil Woods playing with a big band. Quite the experience and introduction. Warmly welcomed into the Gap music community, Sal soon recorded his first album “To Be with You,” featuring new Gap-friends: songstress Stephanie Nakasian, and bop-master Hod O'Brien on the piano. 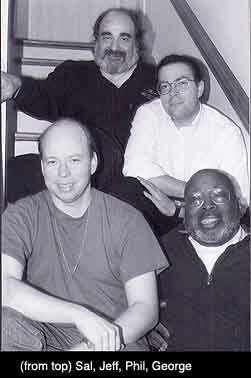 But it was through his friendship with Phil Woods that Sal became inspired to pursue a new direction in Charlottesville, Virginia, where he found destiny in a quartet named Blue Indigo, a rambunctious and inspired group anchored by master-organist George Melvin, and spiced with Carter Beauford (drums), and LeRoi Moore (sax), who a year later became essential cogs of DMB. Soon after their departure, Blue Indigo reignited with the inclusion of saxophonist Jeff Decker and percussionist Phil Riddle, leading to the recording of “Catwalk,” a collection of Sal’s original songs. Continuing his decade-plus stint with Apple Inc., Sal now resides in the Bay Area with his wife, Naomi, and his current musical musings are derived using a Godin MIDI guitar, which he plays through Logic Studio's MainStage digital performance module, sounded by a Bose T1 system. Stop by and visit Sal in the Macworld-iWorld Music area, Friday, January 25th, as he shares experiences and plays some tunes. See you there!